Alzheimer’s disease, a fatal illness, is the most common form of dementia accounting for 60 to 80 percent of dementia cases. Alzheimer’s disease is estimated to cause 60 – 80 percent of all dementia cases and is thus the most common dementia condition with onset in adulthood. (Source: Alzheimer’s Association. 2018 Alzheimer’s Disease Facts and Figures. Alzheimer’s & Dementia 2018;14(3):367-429). The disease is characterized by death of neurons in the brain causing a progressive deterioration of memory and cognitive skills, such as intellectual ability, language, orientation, recognition and learning ability. The disease can also lead to personality changes and psychiatric symptoms, such as apathy, depression, disorientation, paranoia, aggressiveness, and motor symptoms, such as stiffness, reduced mobility and impaired responsiveness. The term early Alzheimer’s disease includes Mild Cognitive Impairment (MCI) as a result of Alzheimer’s disease and mild Alzheimer’s disease. Prodromal Alzheimer’s disease is another term for MCI. A patient with far advanced Alzheimer’s disease often suffer from serious cognitive and motor symptoms affecting the ability to care for oneself and handle everyday situations. The disease thus often impairs the quality of life for the patients as well as their families. Alzheimer’s disease is currently diagnosed by clinical investigation, tests of cognitive function, brain imaging and measurement of biomarkers in cerebrospinal fluid. The diagnostic procedure also includes the exclusion of other dementing diseases. There is currently no cure or treatment that can stop the disease progression. Only symptomatic treatments are currently available on the market. Today approximately 50 million people worldwide are estimated to suffer from some form of dementia disease. In the absence of effective disease modifying treatments that can stop or slow down the disease progression the estimated number of persons with dementia diseases, including Alzheimer’s disease, is expected to reach approximately 152 million before 2050, which highlights the high unmet medial need for innovative drugs in the area. (Source: World Alzheimer Report – Alzheimer’s Disease International, 2018). Halting Alzheimer’s disease progression would lead to great benefits to patients, families and caregivers and cost savings for society considering the huge cost for the care of patients with dementia. 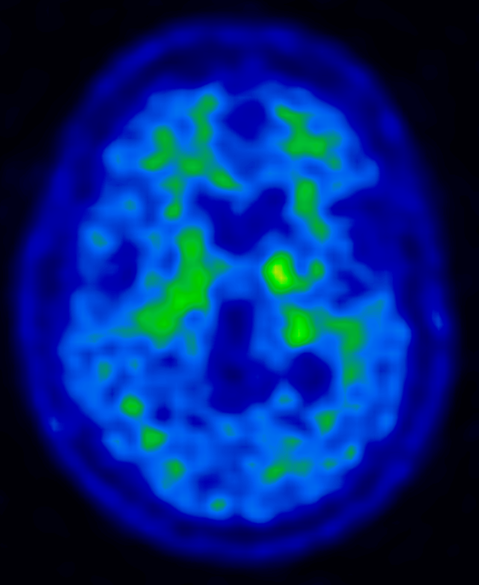 Brain images provided by PET-Centre, Uppsala University Hospital, Sweden, showing a normal brain (left) and an Alzheimer brain (right). Alzheimer’s disease is caused by accumulation of the amyloid-beta peptide in the brain in form of protein aggregates and plaques. In recent years the knowledge of neurodegenerative disorders has moved from description of symptoms to an understanding of the underlying mechanisms that cause the diseases. The key molecular events which lead to diseases are today believed to be protein misfolding and spreading of soluble protein aggregates leading to neuronal dysfunction, cell death, brain damage and symptoms of disease. (Walsh et al. 1997, Conway et al. 2000). A reduction of these toxic proteins is believed to be of great importance in order to influence the disease progression. BioArctic’s treatment strategy is to reduce or eliminate these toxic proteins in the brain. In this way the disease may be stopped or halted (Lannfelt et al. 2014). Amyloid-beta aggregation. Toxic oligomers/protofibrils are the target for BioArctic’s Alzheimer’s disease treatment. In the brains of Alzheimer patients there are plaques mainly containing fibrils of amyloid-beta. Each fibril contains millions of single amyloid-beta molecules, monomers. The fibrils are so large that they are no longer soluble and will instead form insoluble plaques in the brain tissue. An intermediate stage between monomers and fibrils is oligomers/protofibrils, which are still in solution. Today the general opinion is that it is these soluble, aggregated forms of amyloid-beta that are harmful for the brain. 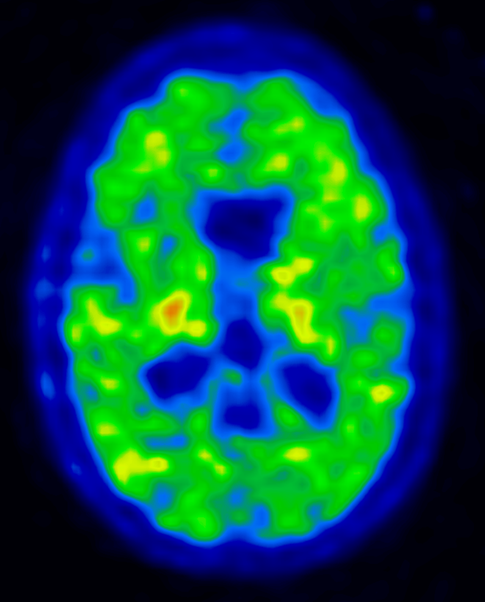 Amyloid-beta immunotherapy has gained a lot of international attention and emerges as one of the most attractive approaches for delaying disease progression in Alzheimer’s disease. 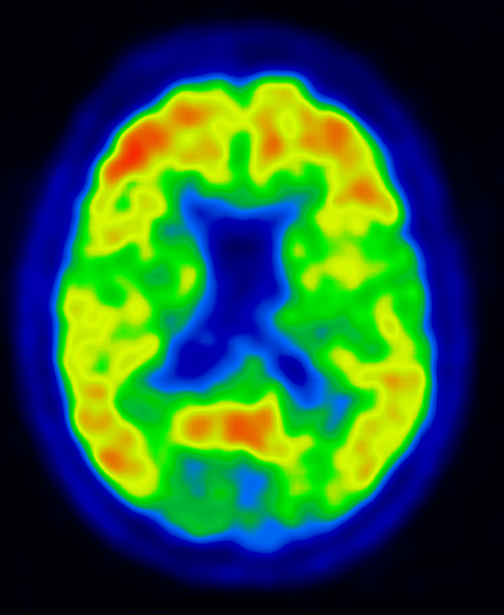 BioArctic’s lead drug candidate BAN2401 is targeting the toxic soluble amyloid-beta protein aggregates in early Alzheimer’s disease with the aim to stop or slow down the continuous cognitive impairment in Alzheimer patients. The project is based on the company’s innovative research in collaboration with Uppsala University, Sweden. BAN2401 is a monoclonal antibody that selectively binds and eliminates the toxic oligomers/protofibrils of amyloid-beta in the brain, which potentially is of large clinical value in treatment in Alzheimer’s disease. The mouse variant of BAN2401, mAb158, has been demonstrated to considerably reduce the levels of oligomers/protofibrils in the brain (Lord et al. 2009) as well as in the spinal fluid of transgenic mice (Tucker et al. 2015). The 18 months results of the BAN2401 Phase 2b-study in 856 early Alzheimer’ disease patients have been announced in 2018. BAN2401 significantly slowed the rate of disease progression at the highest dose arm (10 mg/kg twice a month) compared to placebo. The effects of BAN2401 on clinical endpoints were supported by strong effects on amyloid PET as well as effects on several CSF biomarkers. Please see the press releases from July 6, July 25 and October 25 for more information. BioArctic has four other projects for early Alzheimer’s disease: BAN2401 Back-up in preclinical phase and three innovative disease modifying programs in discovery phase. We are truly committed to do our outmost to bring innovative and effective disease modifying treatment to patients with early Alzheimer’s disease – a treatment that affects the underlying disease pathology. Projects in discovery, preclinical and clinical phase.